Triple Crown – Residence II – A Winning Community. SPECIAL OFFER: TRIPLE CROWN PRIORITY PRICING. Save $10,000 on the list price of a new condo, or receive a second parking stall (valued at $20,000) for FREE! This is a limited time offer and may be retracted at any time, so contact us today! Learn All About This One Of A Kind Opportunity. 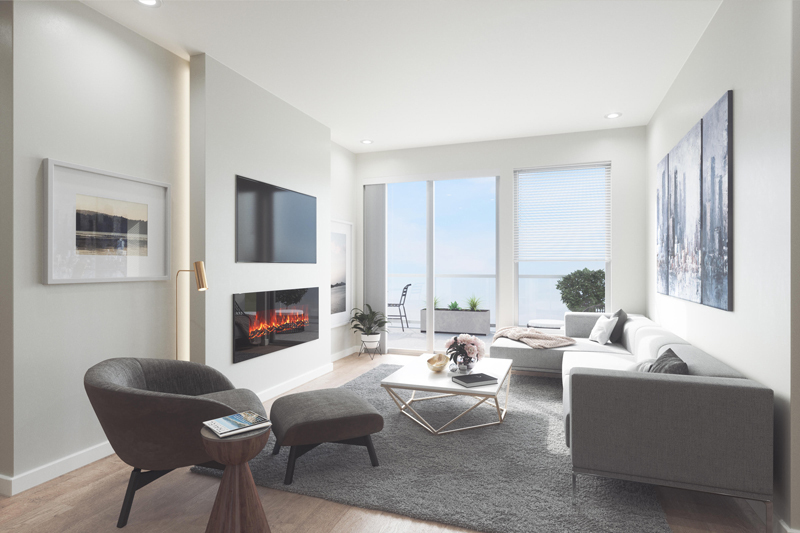 With occupancy set for the fall of 2020, Residence II features 2-bed, 2-bath, West Coast contemporary style condominiums built to exacting standards. Prices are extremely competitive and start at $389,900. 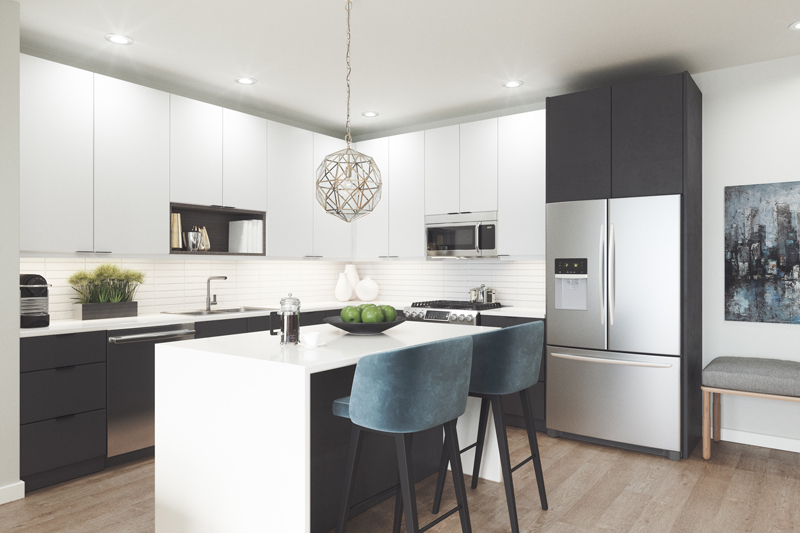 We’re building in quality finishes including elegantly styled cabinetry with quiet closers, full depth quartz stone countertops with undermount sinks, Euro laminate flooring, premium stainless kitchen appliances (gas stove) and full-size stacking washer and dryer. Click the button below for full details on features, fit and finish. • Few lenders provide a FIRM Approval like RBC. Often lenders include conditions and small print. Some lenders further review their applications closer to closing date to see if you still qualify. Don’t leave your purchase at risk; get protected with an RBC approval. • Competitive, extended fixed and variable rate commitments. Mortgage rates to be reviewed within 120 days of closing for possible rate reductions. • HomeProtector™ life, disability & critical illness insurance is available while your home is under construction and can provide protection for you even before your mortgage payments begin AND it’s complimentary of charge until your mortgage is advanced. • Appraisal Report upfront – No cost to buyer. • 6 Months VIP Banking valued at $180. Take the risk out of your most important purchase. Contact us today to secure your RBC Firm Approval. Stay Up To Date With Our Twice A Month Newsletter. When you sign up for THE WINNER’S CIRCLE and you will save thousands of dollars with our early-bird incentives on purchase, receive regular updates as we build, get useful information to help you navigate real estate, and learn more about the community of Langford. Signing up between now and December 31st gives you have a chance to win one of eight $50 Starbucks Coffee Cards. Contest is for newsletter sign-ups only; no purchase is necessary. Read the full contest rules. JOIN THE WINNER’S CIRCLE NEWSLETTER! Subscribe today for Priority Pricing, and up to date information. TALK TO OUR DEDICATED TRIPLE CROWN SALES TEAM. 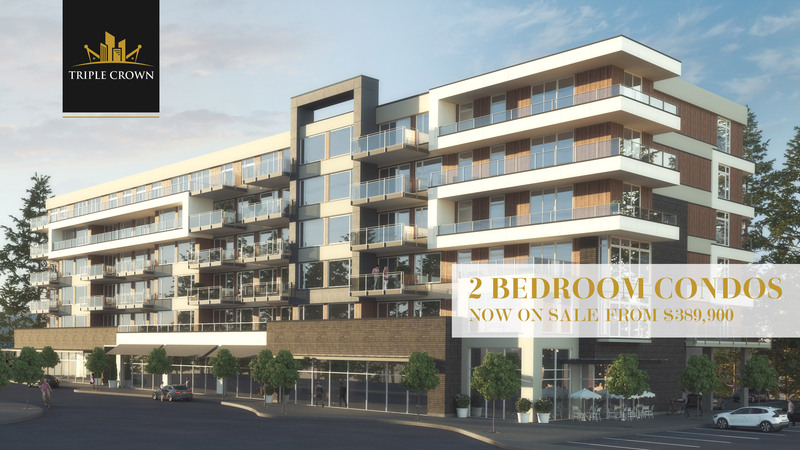 Built by well-known builder Draycor Construction Ltd., and designed by Creative Spaciz Design Studio, our condominiums provide you with the highest quality construction, excellent use of space, and a higher level of finishes than most other builds in the marketplace. We’re crafting a family-friendly, mixed use neighbourhood of townhouses, condominiums and residential-friendly businesses to build a thriving community. Neighbourhoods that incorporate a mix of uses are more sustainable and better for the environment. You can reach amenities on foot and rely less on your car. That means less gas, less parking spaces, and a healthier lifestyle. Triple Crown has partnered with Fortis BC to provide you with natural gas cooking and hot water on demand – a superior environmental choice and lower operating cost for consumers. It’s a winning combination of better lifestyle and cleaner environment. 70 Units of 2 bedrooms and 2 bathrooms. 6 floors with 14 units per floor (2-6). The southeast “Olympic Side” provide spectacular views of the mountains. The northwest “Malahat side” overlooks the rolling Sooke hills. Gas hot water on demand in each unit. Open Concept Floor Plan with 9 ft ceilings. Each unit comes with one underground secure parking spot. 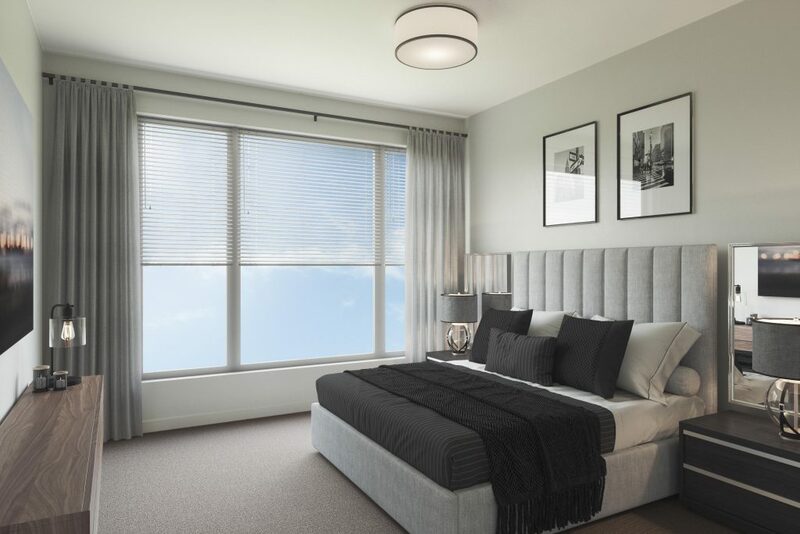 We’re building in quality finishes including elegantly styled cabinetry with quiet closers, full depth quartz stone countertops with undermount sinks, Euro laminate flooring, premium stainless kitchen appliances (gas stove) and full-size stacking washer and dryer. Get the full details on features, fit and finish by clicking the button below. SIGN UP NOW and save thousands of dollars with our early-bird priority pricing! Receive regular updates as we build, useful information to help you navigate real estate, and more details about our West Shore community. A contemporary West Shore community moments from nature. Located near the heart of the vibrant community of Langford. Join Our Winner’s Circle Newsletter for Priority Pricing, and up to date information.